The Ned Air OmniLine is our multi-faceted, entirely configurable air treatment unit with heat recovery and Eurovent certification. The air treatment units have been designed to achieve a healthy and pleasant indoor climate through air filtering, heat recovery, heating, cooling, humidifying and dehumidifying. And all of this can be done entirely automatically. The Ned Air OmniLine air treatment unit creates the ideal climate for any indoor space. You can choose from the following versions: The Ned Air OmniLine RO with heat recovery wheel, the Ned Air OmniLine PL with counterflow plate exchanger and the Ned Air OmniLine Custom, which offers an infinite range of possibilities. Would you like more information about the Ned Air OmniLine? 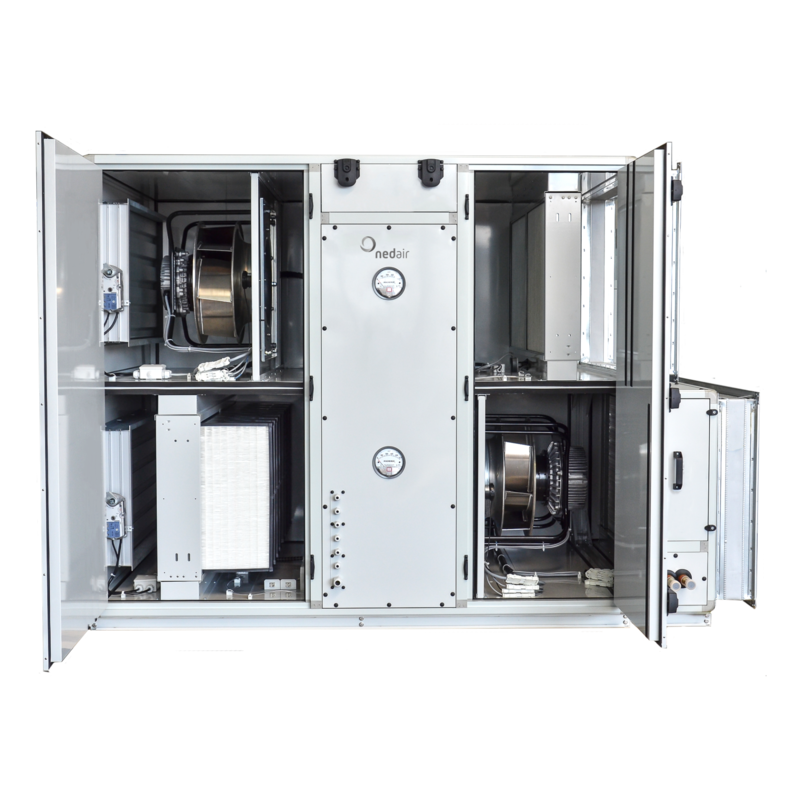 The OmniLine RO is equipped with heat recovery via a rotating heat exchanger. The wheel captures heat while it slowly turns in the stream of the return air, therefore warming the fresh air. You can choose between an adsorption, enthalpy or condensation wheel. We are happy to advise you to help you make the best choice. 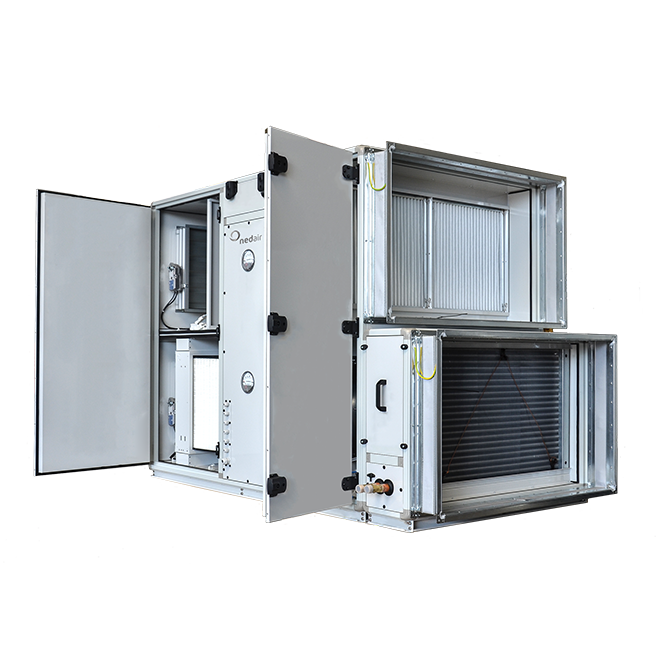 The counterflow exchanger consists of aluminium plate exchangers whereby the air streams are completely separated. This ensures that the stale air never mixes with the fresh air. When the supply air and extract air are not located in one air treatment unit, a twin coil can be used. We are happy to advise you about this. Read more about the fiscal benefits on the VLA website or contact us.